because it took so long to make. like calico were relatively expensive. often used to wrap packages. 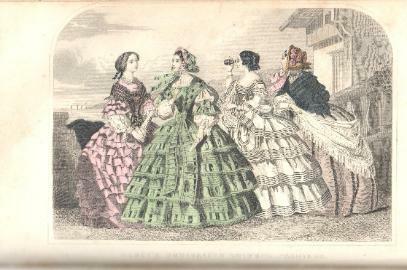 dresses made of cotton or homespun linsey-woolsey. 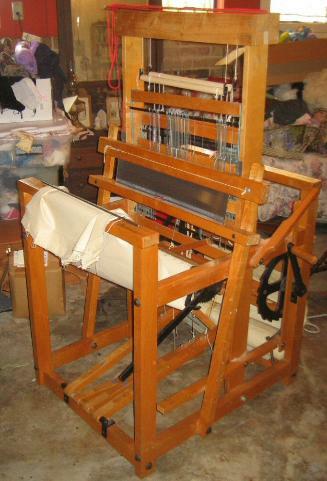 Linsey-woolsey has a linen warp and a woolen weft. protected the dress fabric and freshed up dresses. she might give them to the poor. 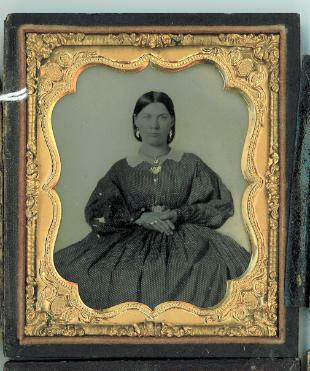 A dress with worn sleeves might become an apron. completely worn-out garment, saved, and reused. fabric were shredded and used to make paper. animal skins, especially deer skins. were very large and required a huge amount of space. 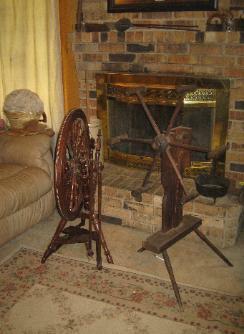 portion of the spun thread was traded for weaving. 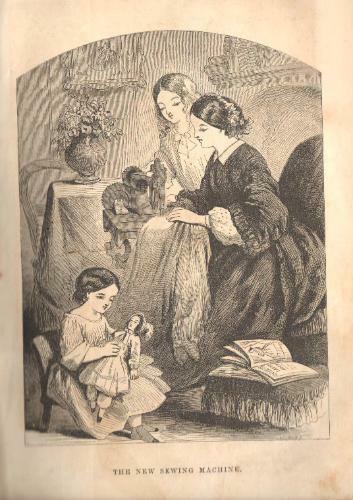 a large pot in which to soak the yarn or fabric. thorns were sometimes used for pins in a pinch. knitting needles are called "pins." to make, and were found in many Texas households. 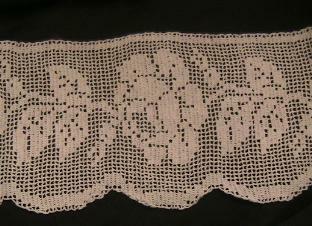 (below) made by the Kromski company of Poland. fabric "tow sacks" or ropes, etc. lanolin still in the wool. the short-way of the fabric. from the beam at the back of the loom. 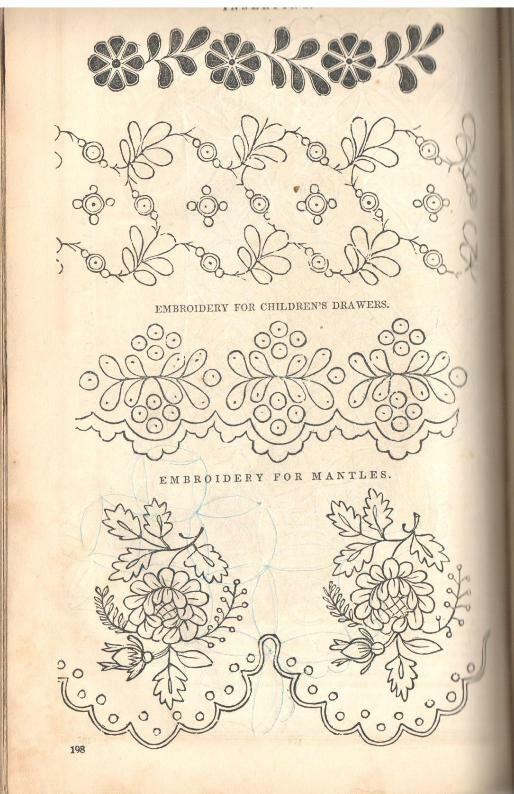 Can't Tell Crochet from Tatting? Weaving the cloth was just the beginning. It still had to be cut and sewn. 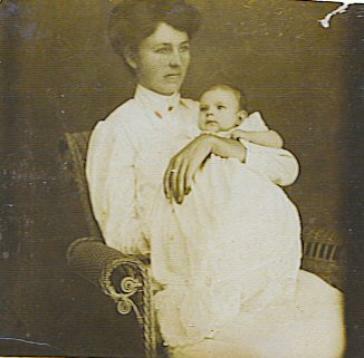 people believed that the long dresses kept the baby warm. 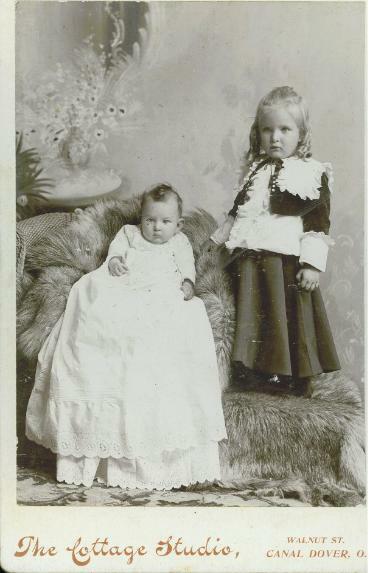 Lord Fauntleroy" suit, and his baby sibling. after the Civil War, however. 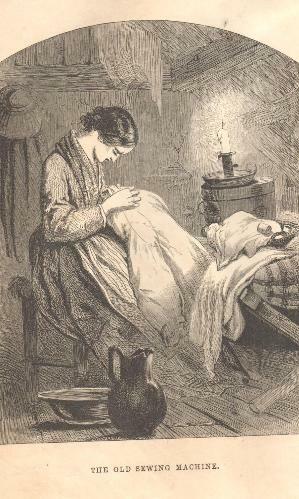 literature urged women to pay their seamstresses a fair wage.